I had heard so many good things about this Mexican restaurant/take away service that I couldn't wait to try it out. Chilango offers burrito's, taco's, tortilla chips, salads, and some other typical Mexican food. 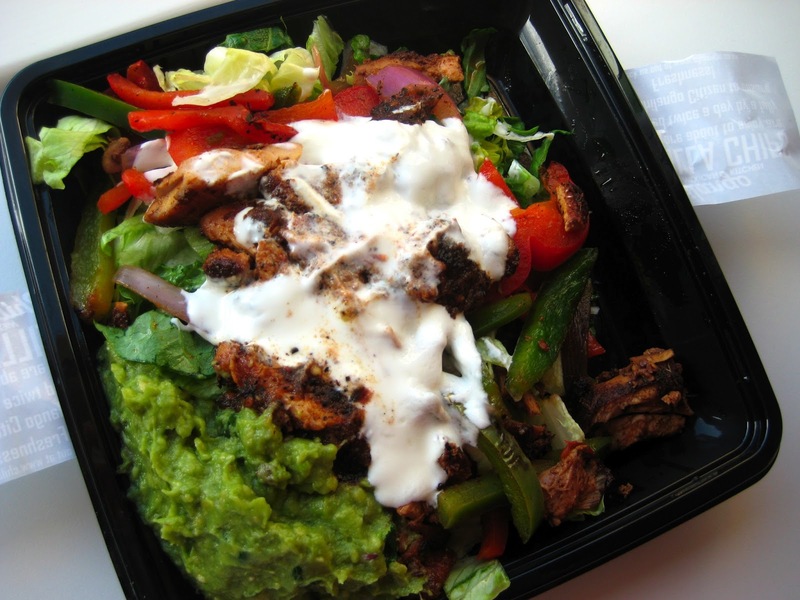 I opted for a grilled chicken salad with extra guacamole and tortilla chips, take-away please! Voted best Mexican by the Evening Standard and numerous others, I couldn't wait to dig in. 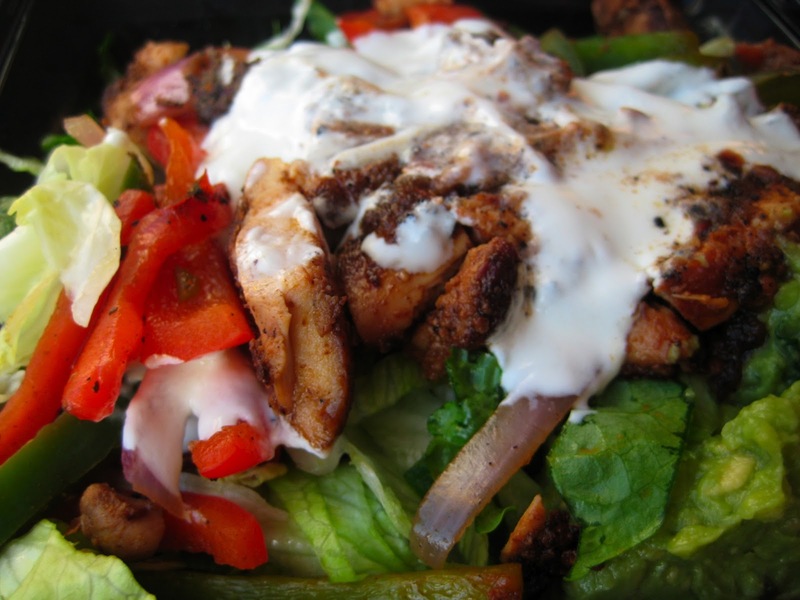 I can only say one thing about this salad: delicious! Mexican food is not the most pretty-looking food, but it really tastes so good. The chicken was juicy and has a lovely grilled flavour. The rest of the ingredients were just so fresh and I loved the mild spicy sauce. 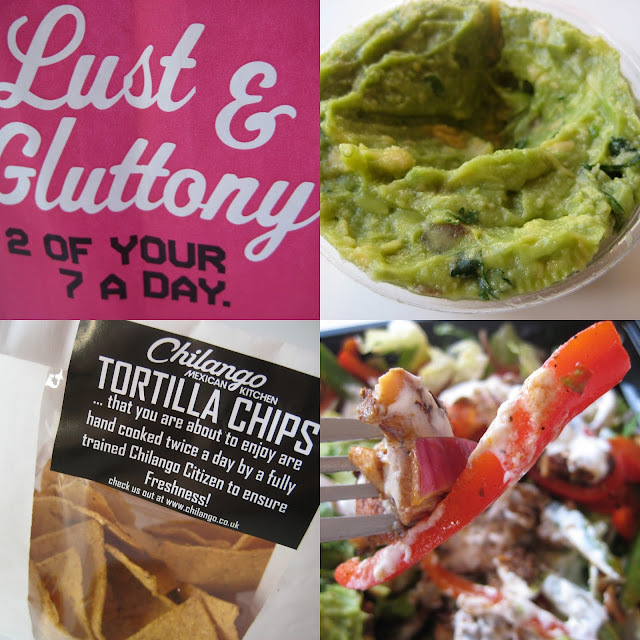 The tortilla chips and guacamole also didn't disappoint. Finger-licking-good! It's not easy to find good Mexican food in London, but I'm pretty sure I've found my go-to spot!